Add your businesses to the Odd Cents business directory premium listings and connect to our growing readership list. 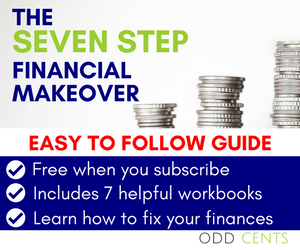 Odd Cents is an authentic personal finance blog that promotes helpful information. We provide a direct link to your website, so that our readers can connect to your business or service. Our marketing strategy includes daily interaction with prospective visitors on the most popular social media websites. There are no commissions for bookings made between you and our website visitors. If you’d like to advertise in this directory, please email the name of your site, your preferred URL, a brief site description, contact information including an address, telephone number, fax number and email address and one photo to oddcents@gmail.com. If you are interested in being listed in our business directory, please send an email to oddcents [at] gmail [dot] com, with the title “Business Directory” in the subject field. Please include the name of your business, contact information and a short bio which describes your business. Take a look at our other services to see if they suit your business needs.